Iratxe Jaio and Klaas van Gorkum have been selected to take part in the Mondriaan Foundation residency at Lipac, Laboratory of Investigation into Contemporary Art Practice, in Buenos Aires, Argentina. On Saturday the 18th of May, they will introduce their research project "Draw some lines in the sand and call it an institution" at Centro Cultural Rojas. The artists will talk about the challenges of organising oneself collectively at different stages of institutionalisation, and the theatrical aspects of staging justice. They will be evaluating their own experiences in Occupy Amsterdam, where they initiated "The Beursplein Hearings", a formal structure within the camp that collected testimonies from its members on the ethical dilemmas they encountered while dealing with social problems and keeping order on the public square. A project curated by Martí Manen for Galería Liebre in Madrid. Sebastian Beyro, Black Tulip, Bonus Extra, Kalle Brolin, Priscila Fernandes, Guillem Juan Sancho, Sandra Paula Fernández, Ana García Pineda, Luis Pérez Calvo, Iratxe Jaio & Klaas van Gorkum, Laramascoto, Connie Mendoza, Carlos Motta, Carl Palm, Pepo Salazar, Yes. 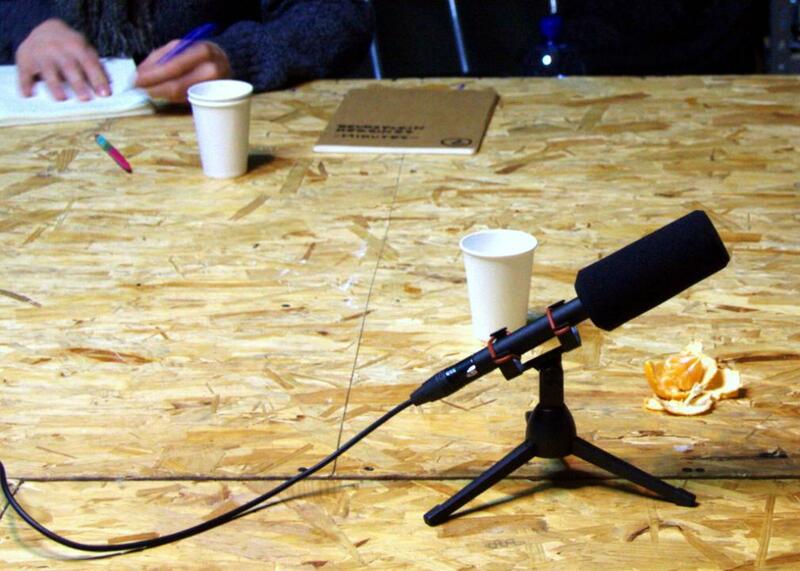 On the 8th of December, Iratxe Jaio and Klaas van Gorkum will talk in L’occasione about their experiences in Occupy Amsterdam, where they initiated a kind of "Truth Commission" in the camp. Through a series of hearings, fellow Occupiers were questioned one by one about the ethical dilemmas they encountered while maintaining order on the square, in relation to the shared ideal of a radical, participatory democracy. Their experiences in the camp will serve, on the one hand, as a starting point for a critical reflection on the group dynamics that lead a community towards and astray from consensus and principles of equality. On the other, as a case study for the role that artists may play in these processes, using the methodology of the cross-examination and the trial as artistic instruments. 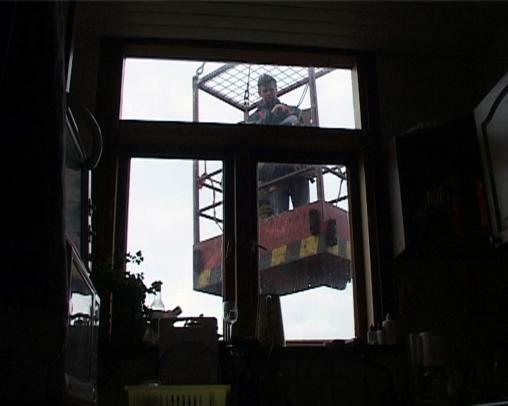 Through the scenes in four films, Miren Jaio reflects on the family and the space it adopts as its own, the home and the role of the family institution in shaping the ever fragile and unstable boundaries between private space and public space. The text was written as an accompaniment to the drawings of "Of Mortgages and Marriages" by Iratxe Jaio and Klaas van Gorkum, and published in "Meanwhile, in the Living Room...". This seminar, organised by eremuak, will focus on the legitimisation discourses that inform public policies, to explore questions such as: new institutional frameworks, self-instituting processes, collective practices, definitions of participation in art and society, financing methods and the laws of patronage and heritage policies. The seminar will take place over two days and is structured around two committees in which a number of different professionals will take part: artists, curators, and art historians. In each session, the debates will be preceded by a talk on the proposed subject. 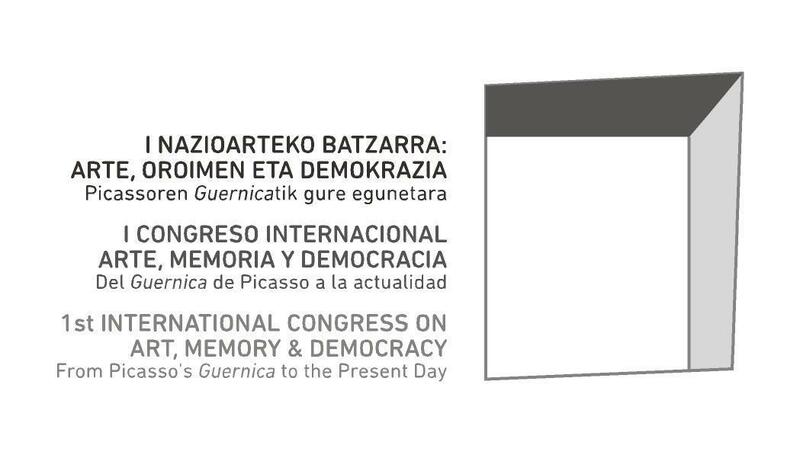 11 October: We are participating in a colloquium between Basque artists, featuring Nestor Basterretxea and Josu Rekalde, and moderated by Fernando Golvano, in the 1st International Congress on Art, Memory and Democracy. Great works of art weave many senses and different aesthetic, ethical and political values into a single form. They set off genuine research into human existence and historical and social events, redefining what is thinkable, visible and experimentable. Picasso’s Guernica, painted in 1937, is a case in point of an artistic creation that brings together all these meanings in an open, critical, enigmatic dialogue. Painted at the time of the Spanish Civil War and commissioned by the government of the Republic for its pavilion at the World’s Fair in Paris, it continues to be ackowledged as a universal symbol denouncing the barbarity of the bombing of civilian populations. 2012 marks the 75th anniversary of its presentation, in the Year of Cultures for Peace and Freedom. This provides an ideal setting for a review of its current significance and ongoing commitment to democratic values. It is also a good time to reflect on the deep-rooted links between creativity, remembrance and the permanent institution of a democratic project in the Basque, European and global contexts in the present time. This congress sets out to discuss these issues from the viewpoints of historical and philosophical clarification and of artistic and literary investigation. Just a few weeks after the elections on 12 September, this exhibition and festival examines what remains of the campaign promises, after the many negotiations to form a government. Are citizens really represented in this process? Or is it time for them to reclaim their vote? Can politics do more than move between pragmatism, marketing politics and populism – you ask, we respond – or is it time for a radical turn? And last but not least: what is the role of the arts in this? Read more about Stem terug! Vote Back! THE BLACK WHALE is an exhibition project which departs from the crisis provoked by the accident of the Prestige oil-tanker back in 2002 — which was one of the most intense social and political moments of the last decades in Spain — to contextualize and interpret it on a wider spectre. Taking the oil industry and the multiple factors which surround it as one of the main visible or physical manifestations of contemporary societies, the project opens itself to subjects as diverse as nature exploitation, colonialism, the history of modernity, the myth of an endless progress, maritime commerce, globalization, or war. research by walking is a curatorial project developed by Alba Colomo during her residency at Het Wilde Weten in Rotterdam. It centers on the role of artists in the social transformation of the South of Rotterdam - a zone with a large presence of 'creative professionals' - and on how this relates to the urban development policies of the local institutions. The high concentration of artists - and the acclaimed 'creative class' - that live and work in this part of the city, seems to be one of the strategies employed by the local authorities to regenerate the socio-economic environment of the area. With: Kim Bouvy, Left Hand Rotation, and Iratxe Jaio & Klaas van Gorkum.